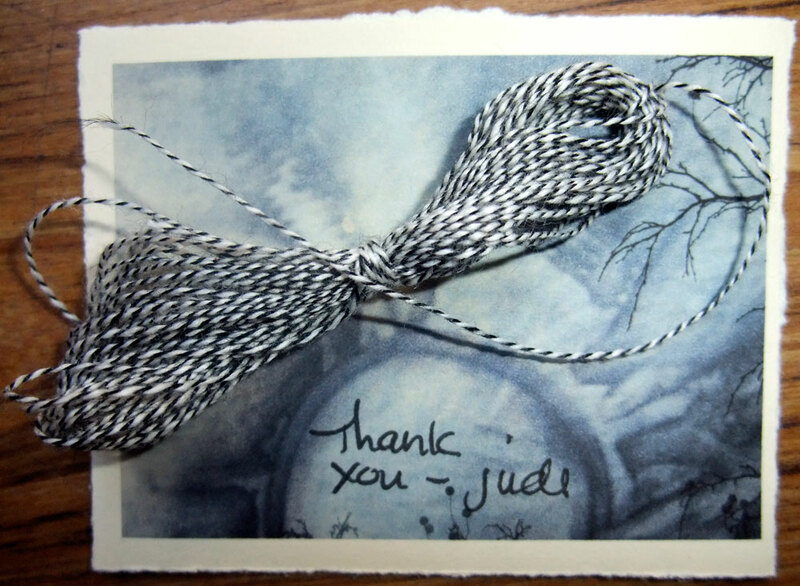 Jude Hill of Spirit Cloth is the queen of cloth conjurors & a very generous spirit! 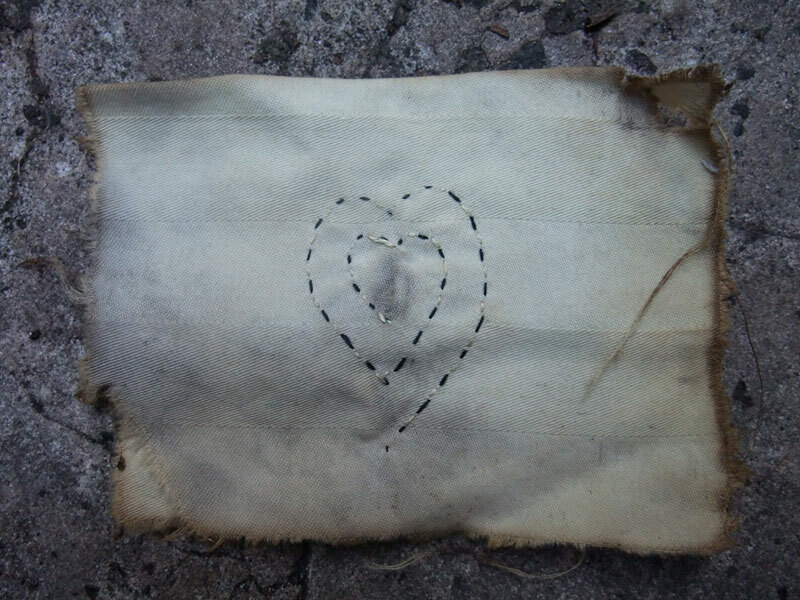 I was so lucky to buy her 3 Leftover Hearts Mended which arrived on the doorstep last week along with this beautiful card bound in her black & white magic thread & the Spiral Heart of Truth. 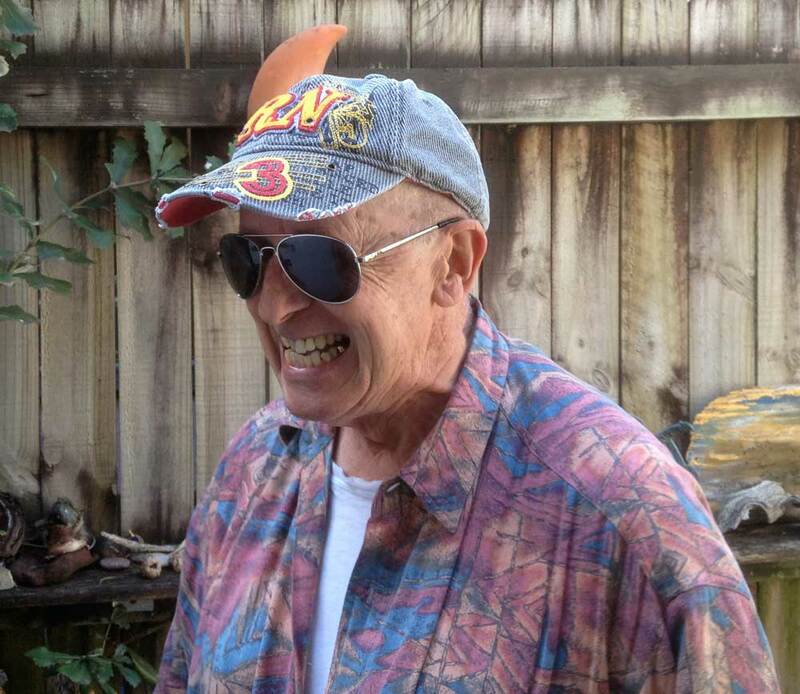 Jude has realized the heart “that”s burnt & broken” in Old Man Crow’s song “Truth” ! My old glass engraving teacher Anne Dybka said when you are learning a new skill it’s best to have some fine examples around to inspire as you make your way. 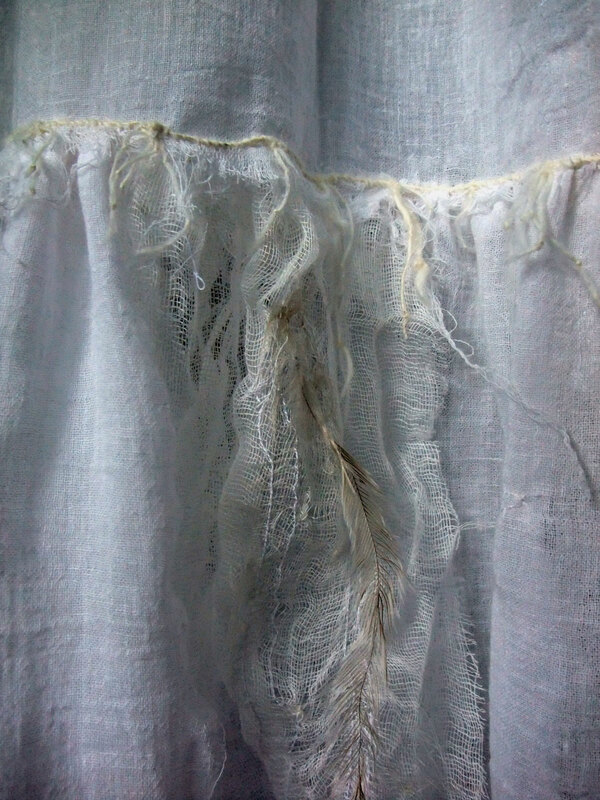 Jude’s work feels so good, she marries the layers of cloth with beautiful stitching making for deep magic. 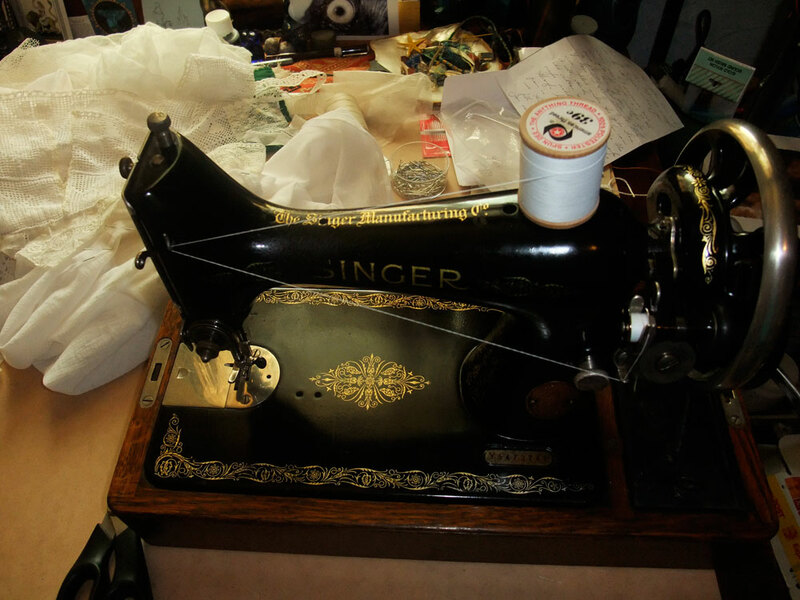 She has gathered an incredibly talented circle of cloth conjurors to her Spirit Cloth blog and gives so much of her huge heart there and in her online courses. 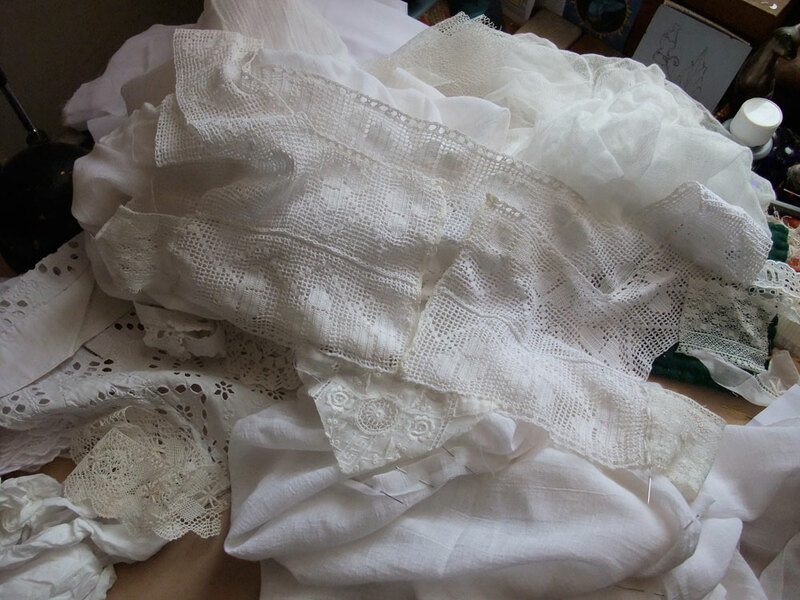 Inspired by watching the videos of her sure handed gentling of the cloth, I took up the challenge of making a nightdress out of this amazing gift of vintage lace, threads and cloth from Margaret Johnson who sent me the bundle of Hopeful materials last year for Hopeful Lunacy & the Flame Tree. 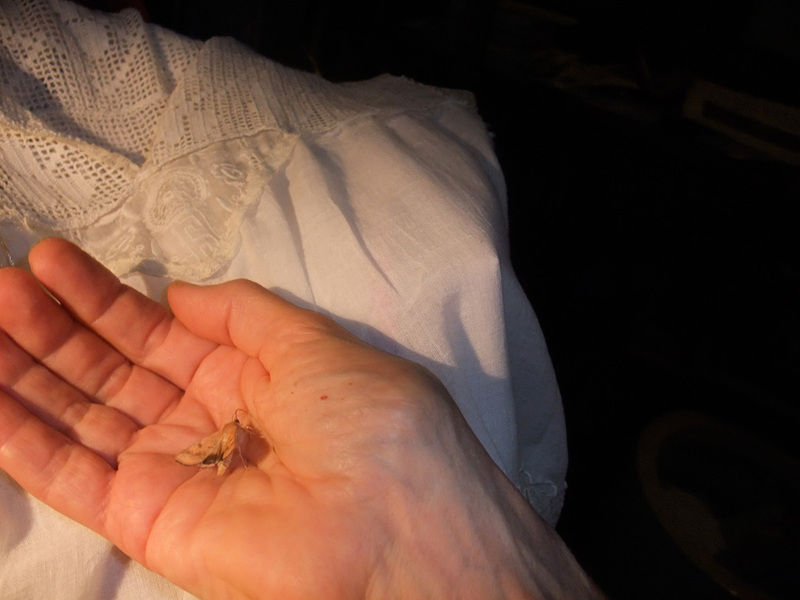 Margaret’s totem animal is a case moth & on the second day this little moth was helping! here’s the finished nightdress… perfect for cloth conjuring at 2 am and taking photos of the moon in the middle of the night! so now it’s time to go into town for the last day of our holidays & have a look at some art (Anish Kapoor at the MCA) will get back to work tomorrow on the next crow drawing and our gardens will have grown like mad after two weeks off!! you are so lucky to get the hearts..
you must feel like an angel in the gown..
well I don’t know about an angel with my 57 year old body but it does feel lovely, may need to get dye it black after I spill a few early morning coffees!! 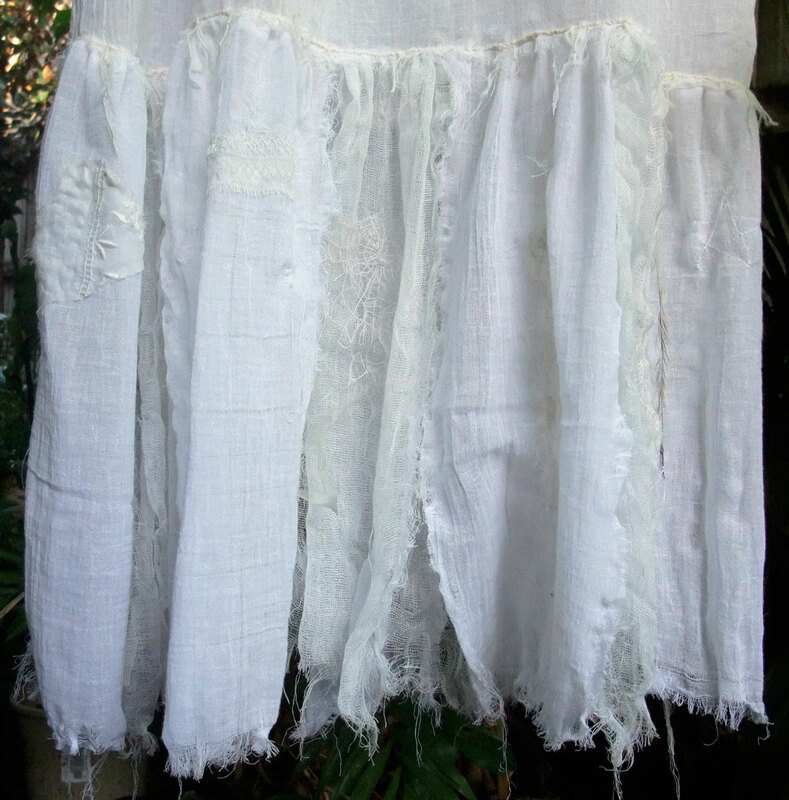 wonderful wonderful nightdress Mo … the sublte shift of white to off white and cream, the delicate stitches and tassles , such a gentle thing to float about in. the beautiful dress for your sister in law was a huge inspiration and your recent piece “holding“! What about dying the nightdress in coffee once a few coffee stains have landed there? and a wonderful set of Jude cloths! that’s a good idea Valerianna! Mo, the three hearts is a stunning piece and perfect for you. But the nightdress is exquisite, my gosh, you have so many talents! So pleased to see your blog alerts, always something beautiful to see. thanks for the good words Carol, just got back from seeing the Anish Kapoor exhibition at the MCA what a mind blowing trip will have to go back with the sketch book! your night dress is just lovely. i pulled out an old whole slip out of a drawer, from many years ago, and thought i might dye it and make it into a nightgown. what you have done here has given me further inspiration. I look forward to seeing what pours out of your hands next Deanna! Isn’t that an amazing little cat on a bicycle! Such a beautiful nightdress! 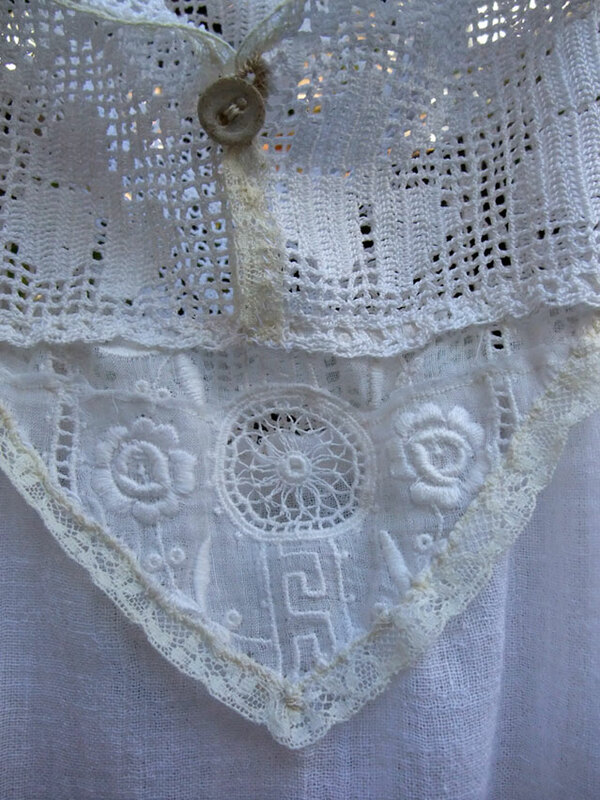 I love this lace and I think that there is some on my attic too. You gave me a new idea! the photo of you, the wall, the hearts–it’s exquisite. an alice in wonderland moment. and your gown. oh…goddess material! Hi Patricia, it was such a good way to start the year, a total indulgence! Margaret gathered & bundled the materials with such care and thoughfulness that it all just fell together, 2013 feels like a very good year! 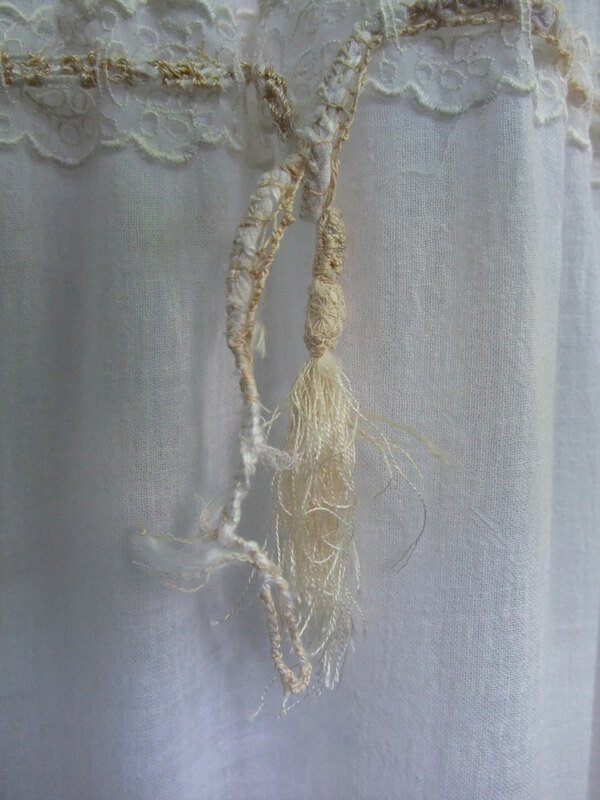 the nightgown looks a beautiful piece of treasure, with the stitching and lace and feathers…. Oh Mo! Your nightgown looks light as air! Your style is so delicate, no matter how you create. And lucky you to have one of Jude’s pieces. I’m always too slow to get to her shop while something is still there. Ah Lynda, keep trying I couldn’t believe that i was there online in that exact millisecond of time for the mended leftover hearts to be mine! 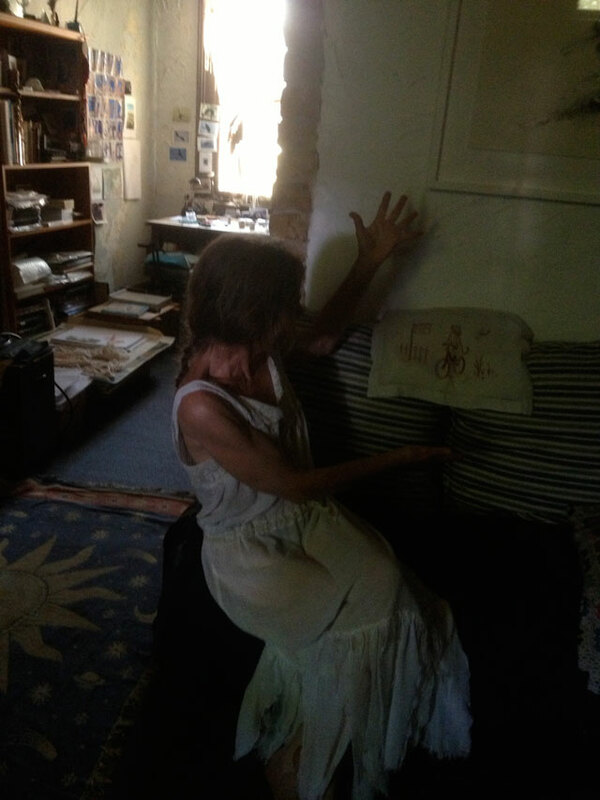 it’s such a wonder touching the work in real life, the cloth is so soft and dense and fluid, it’s alive with Jude’s “muchness” (to quote the Mad Hatter from Alice in Wonderland) & gosh, I made that nightie just in the nick of time, it’s going to be 43˚C (that’s 109.4˚F) on Tuesday! eeekkkk! we will go back to work in a few hours as gardeners after two weeks of just stitching, drawing, reading, sleeping and the occasional foray into town to see a movie or exhibition. Feeling well rested but going to need to pace ourselves over the next few days and just keep hosing each other down on Tuesday… it will be a rescue mission more than gardening & then the next few weeks will be full on damage control as a lot of our customers are away! “damage control” In summer, that just about covers the whole spectrum. But far,far worse in SE Tasmania and Victoria. Off now have a quick sprint around Mr.Next Door’s garden then, if the showers continue,it’s brug-plantin’! Thanks so much for sharing your exquisite work Mo! Glad you had a relaxing holiday. We have managed to keep all our neighbours’ gardens alive while they were overseas but glad they’re back so we can concentrate on ours! 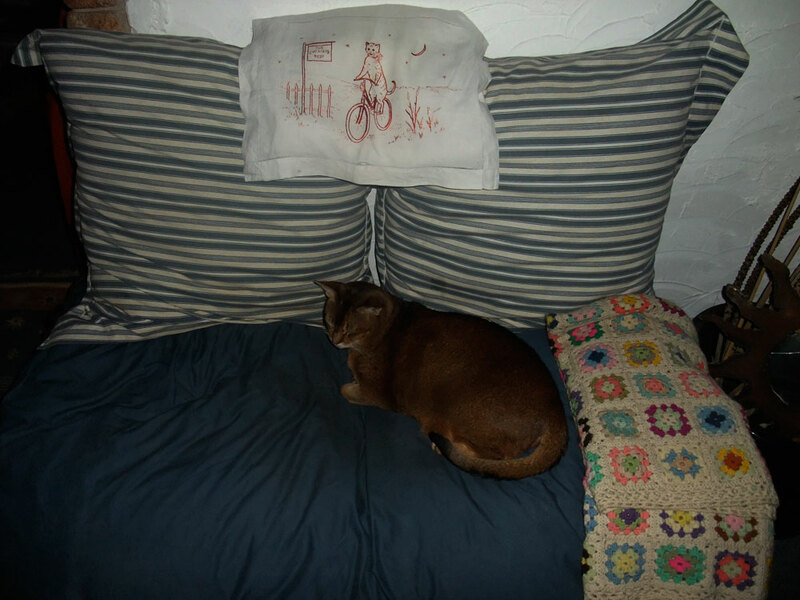 How lucky you are to have Jude’s hearts in your home and i guess your new nightdress is for many sweet dreams……………. Holding Jude’s stitching is something else again feeling very lucky indeed! I am late to this party! But oh my oh my — what a beautiful nightdress! And how splendid it looks on you. I love all the details and the combination of lace, crochet, fabric — everything. Just stunning! I feel so very lucky Midori & thanks for popping in!